An entrepreneur is a person who establishes a business or any other venture or economical establishment that focuses on economic growth. Great entrepreneurs must be able to calculate the gains and losses that their establishments face during their period of development. Those who are challenged in this field lack the necessary strategies that are essential for a flourishing business. eCommerce is a platform that entrepreneurs use to grow their business. However there is a lot that one should look at before blindly venturing that area. Multi-Vendor sites provide the best alternative when it comes to selling products. These are online shops that give users who utilize them well a big fortune when it comes to business. eCommerce principles are dynamic, and it has become trendy for online vendors to use the same online shops. Collaboration between the internet marketplace and vendors brings about numerous benefits because it increases traffic on the website and the revenue of the sellers goes up. The vendors have to rent or give out commission to the online multi-vendor store administrator. The higher the number of vendors, the higher the number of profits an administrator gains without necessarily inputting extra investments. Using multi-vendor software platform that operates independently makes it easier to build a multi-department store faster and easily. Vendors have the ability to organize their products and manage their sales in one common online market. Walmart is a good that has employed 2.2 million workers in the world due to its increasingly popular good services. This has seen Walmart attract 57 million UV. The online retailers are only a dozen authorized online retailers. The multi-vendor software allows it to have a third party marketplace allowing them to sell their products in large volumes. The profits made and the amount of money required for payouts. The software is also capable of registering a very large number of vendors, meaning that the number is unlimited, allowing you to expand your online marketplace on a large scale. The multi-vendor software allows your customers to have the ability to put the products they wish to purchase on a shopping cart. Ebay has 84 million UV. The sales are not first party and all transactions are done by merchants who are considered as third party. The fee structure in the website is complex as it caters for subscription, insertion and final value fees. The seller account is easy to establish and the multi-vendor software caters for all this. The owner of the website has the ability to access all the settings and options of the website, and the listings given by the vendors using the website. This gives absolute control of the multi-vendor margin so that it has the ability to regulate the activities of a vendor if it’s required. An administration panel that is user friendly. Tools that will enable you as the website owner to do basic setup easily make sales and add products. Amazon, being one of the largest online vendors, has 270 million active subscribers. With the multi-vendor software, the site has been able to cater for the vendors and customers. The company offers free shipping of products to third parties. Although the customer is not the vendor’s, the site offers stores for merchants and charges commission at 25 percent. The eCommerce world has grown tremendously and the enormous possibility of accumulating profits is evident. A good multi-vendor software builder should provide outstanding opportunities to retailers and give the ability to reach customers at a much wider scale both internationally and locally. An example of one such multi-software vendor builder is Best Buy, it is one of the sites that do that kind of business. The vendors through the website should have the capability to sell their products and products beyond their local borders. This has enabled it to attract 22 million subscribers to the site. To get a strong presence online for your business. To get a less strenuous way of managing your site. Shop.com is an example of the online Multi-Vendor that has the best software providing it with an ideal eCommerce platform. 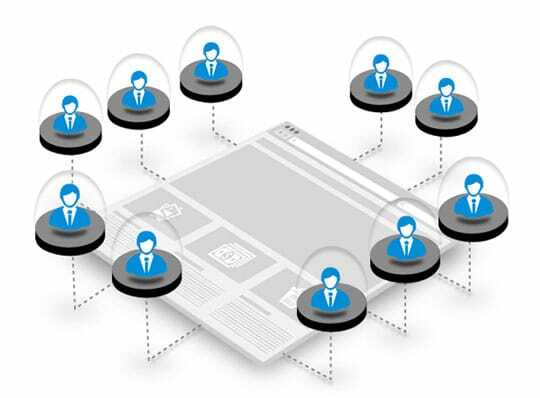 This enables numerous independent online vendors to sell their goods using the same website. Shop.com has a total of 650 workers who help in managing and catering for vendors on the website. Vendors are able to secure an administration panel, to manage their own sales and settings. The site was able to get a gross total of 321 million dollars as a result of the users of the multi-vendor software. Building an eCommerce website however is never an easy task as you can’t do it without any skills or knowledge. It is recommended that entrepreneurs that are eyeing the internet as a platform for commerce to get a multi-vendor software builder. The software is built with the latest technologies when it comes to eCommerce. The ingenuity of the product will give the administrator the ability to create an advanced online shopping area that will meet the need of your customers and lure many prospects to your website. The software also helps in web design, product inventory options and easy means of payment. The multi-vendor eCommerce software, allows one to easily make the website compatible for internet users who access the internet via their mobile phones. The software comes with a tool that will enable the creation of the website mobile version, making your site the sought-after place for vendors to advertise their products. 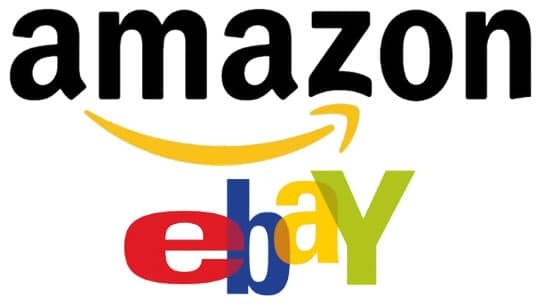 We have therefore seen that the success rate of sites like Amazon, Best buy, Walmart, Ebay and shop.com can only be linked to the use of the Multi-vendor software. Best buy for example, has experienced a decline of 2.7% on its store sales. This can be attributed to the lack of the use of the software. This one of a kind tool will help expand your business and increase traffic to your website which will give positive returns. The unlimited resources offered by the software, should also be one of the things to consider. This article is written by Amy Watson. As broad experienced in eCommerce industry she has good tricks to increase ROI by integrating premium web to print marketplace configurator with various eCommerce platforms like Magento, OpenCart, PrestaShop and nopCommerce. Follow her: Twitter | Google+ | LinkedIn | Pinterest.